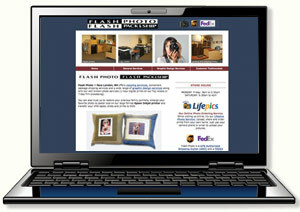 BUSINESS WEBSITE: This package includes a custom 5-page website designed to represent your business. It is designed for serious individuals and professionals looking to bring awareness to their products and services or promote their talents. Your Business Website can be modeled after an existing printed brochure, or it can be designed from the ground up. It will be unique and tailor-made for you. This is the perfect package for a gift shop, a hardware store, or even a band. Your web pages can include up to 1000 words. We will add stock photos if you need them and help you polish your web content. Contact Us, and Customer Testimonials. 2 unique layout options from which you can choose your final design.